We have got a large collection of different coloured waiter’s purses made out of high quality real leather at a fair price! Weoffer cheerful bright colours like orange, pink, green, red, light red, royal blue and purple or also the more classic colours dark blue, black and brown (1015). 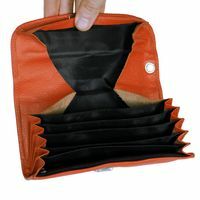 The waiter’s holders have got five pockets for notes, a large coin compartment and an additional zip pocket. 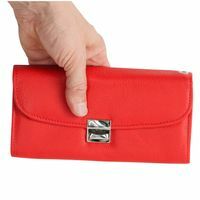 The closure is adjustable to three sizes and has got a loop to secure the pouch with a chain from theft. 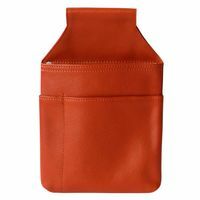 We also offer matching coloured holsters for the wallets. 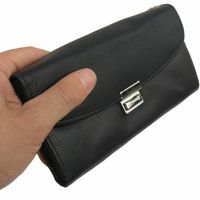 Why don’t you order this practical belt bag in addition now (1009). 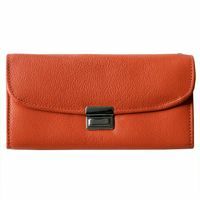 Please note: The belt pouch for waiters, which is seen alongside to the purse in some pictures, is not included in the delivery. So if you would like to complete the server’s set, please be sure to order the waiter’s bag in addition! The waiter’s wallets made out of noble Nappa leather are wonderful to the touch. They fit your hand perfectly. But to keep other people from grabbing your pouch, we have incorporated an eyelet to connect a chain. 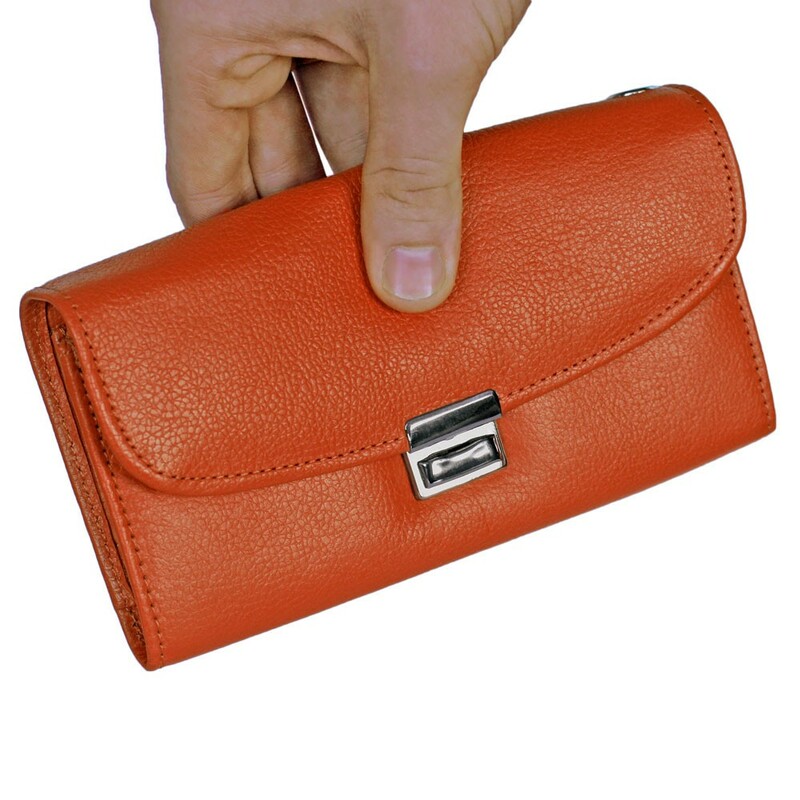 That way, you can attach the holder well and hopefully it will be kept safe from pickpockets. 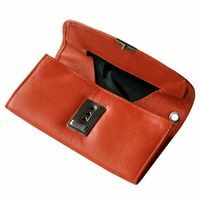 Our wallets are crafted very solidly, they also handle a lot of business well. 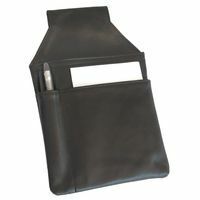 We also have got the matching coloured waiter’s holsters in our collection (1009). 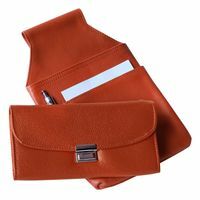 However, you need to order these extra, if you would like to complete your set of purse and holster. Please note: The belt bag, which is seen alongside to the wallet in some pictures, is not included in the delivery, so as mentioned, please be sure to order it in addition! 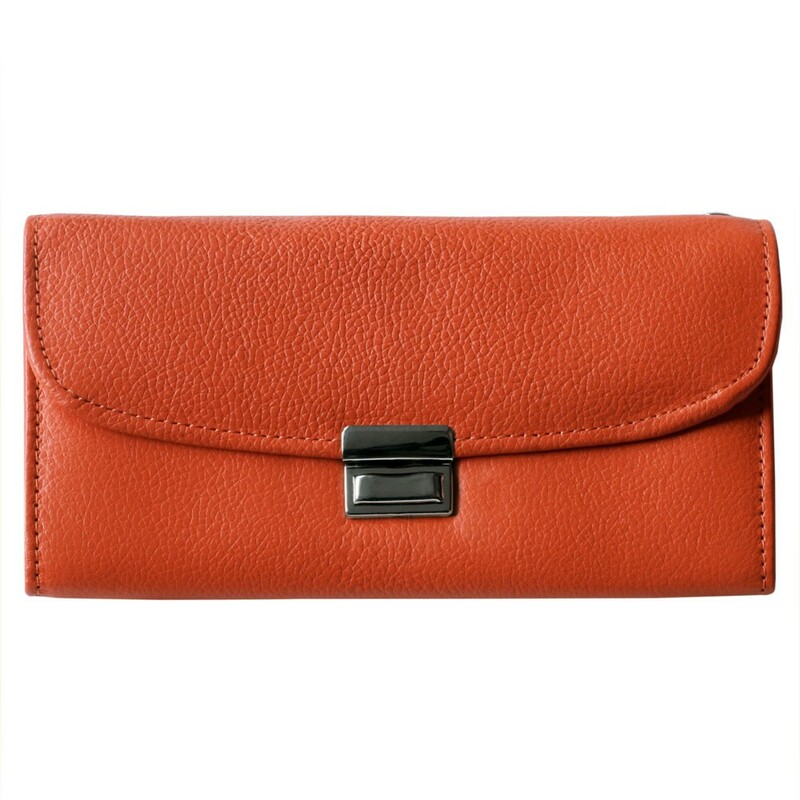 The leather is free of toxic AZO dyes, PCP and chromium 6.